Submit your contents to our Feeders, we process them wherever they are. Create your own contents domain in Nuvolar. Simply drag and drop your files to our upload box, mantaining your tags and categories. Send to a Nuvolar email address your attachments, you can feed your domain with tags and categories. Connect Nuvolar to your Dropbox and Google Drive foldres, you can easily upload documents, attachments and categories. Connect Nuvolar to your Youtube and Vimeo channel, you can upload video transcriptions, metadata and thumbnails. We can develop specific feeders designed on your needs. 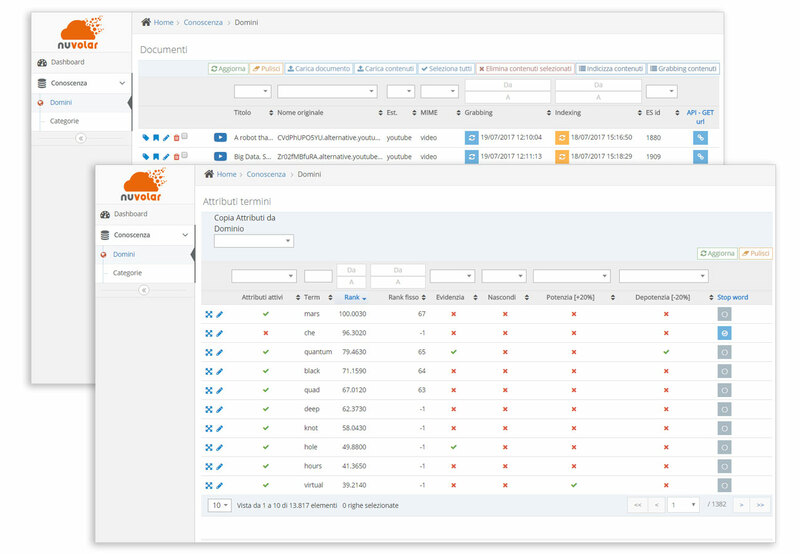 We provide a smart interface to manage documents, tags, categories, stopwords and terms ranking. Track down any data management activity. 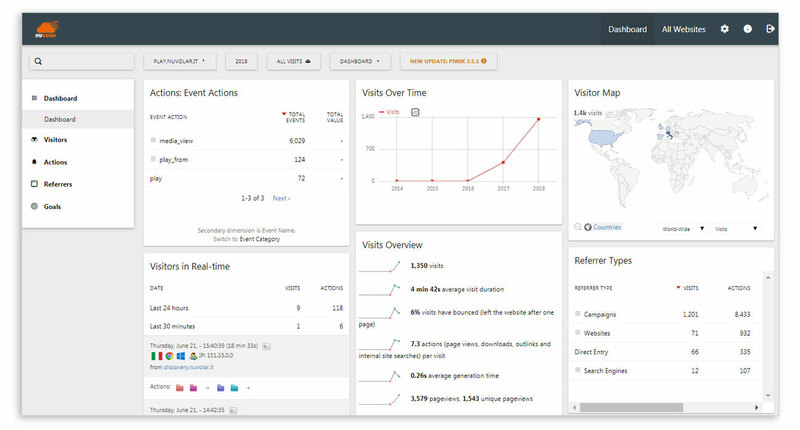 We provide a set of predefined user reports and dashboards. We can design custom reports with you based on our complete monitoring of Nuvolar events.